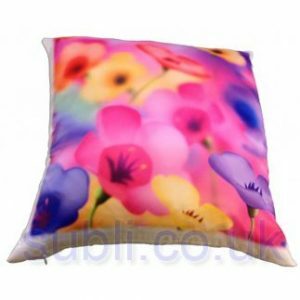 Shop - Dye Sublimation Supplies from Subli. 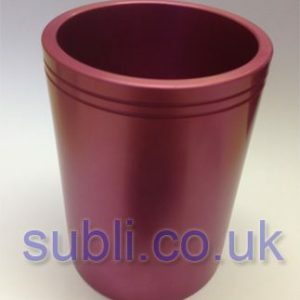 Dye sub blanks, heat presses, dye sub printers, sublimation inks, dye sub paper, blank sublimation mugs and much more. 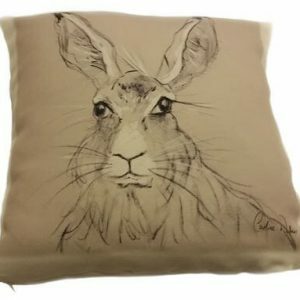 This is a 40cm cushion cover, made from the same polyester fabric as the white Vienna shopping/tote bags. Size: 40x40cm. Filling Not Included. 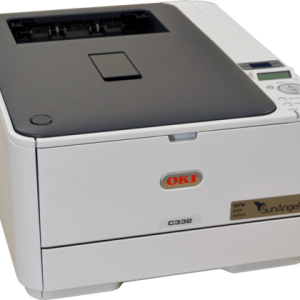 White toner cartridge for the SunAngel 32WB printer. Average capacity of 1,500 prints. 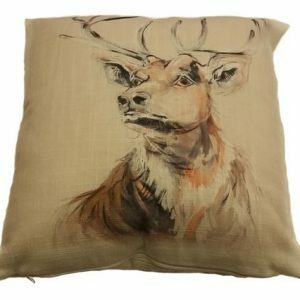 This is a 40cm cushion cover, made from the same canvas feel polyester fabric as the canvas feel tote bags.  The fabric quality of the premier cushion cover material is more luxurious, with a heavier weight canvas feel. Size: 40x40cm. Filling Not Included. 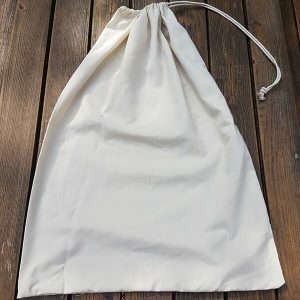 Large “Trent” Drawstring Bags or Santa Sacks. 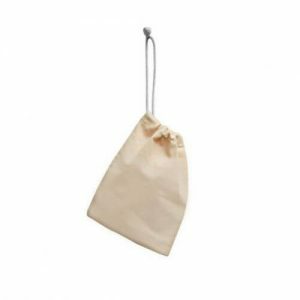 Heavyweight drawstring sacks, made from “Vienna Natural” fabric. 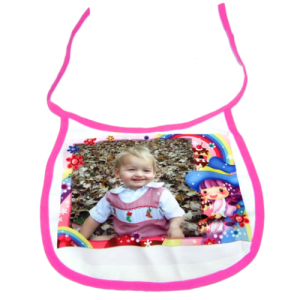 This is a new, large drawstring sack for dye sublimation, perfect as Santa sacks! 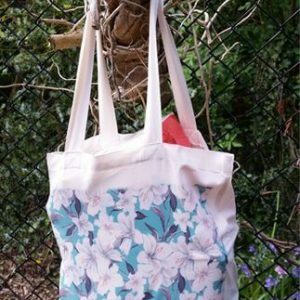 Made from the same fabric as the natural Vienna tote bags. Dimensions 680mmx480mm (approx). 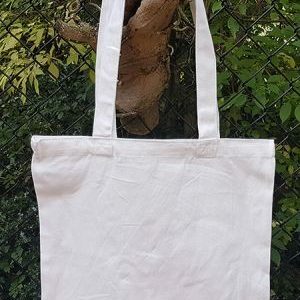 New – Jersey – Heavy Weight, Canvas Feel Tote Bags. 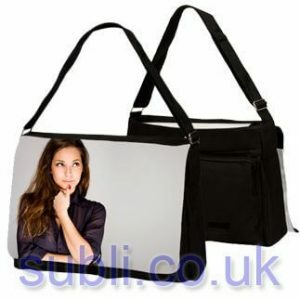 This is a new, premium quality, heavyweight canvas feel tote bag, for dye sublimation. 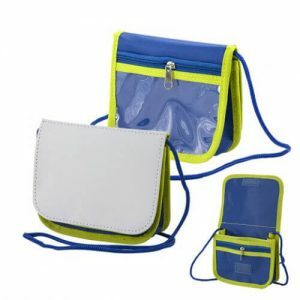 They’re a stunning bag, at a very reasonable price. Dimensions 380mmx420mm (approx). This is a high quality, competitively priced 100gsm dye sublimation paper from Hansol, 44″ roll at 100m. 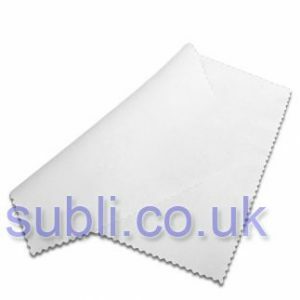 This dye sublimation paper is compatible with most wide format dye sublimation printers capable of taking 44″ media. 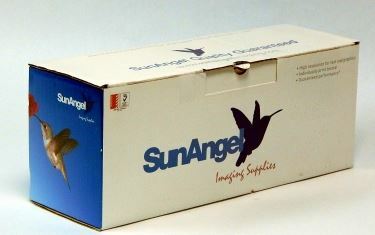 The SunAngel 32DW Daybold printer has been developed to print with white toner to produce bright white prints, and can be used in conjunction with the SunAngel 32DC to transfer full colour flourescent images onto light or dark garments. 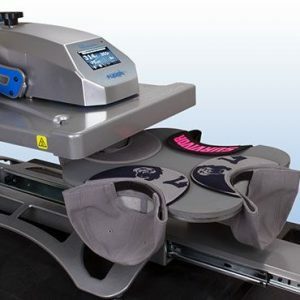 The SunAngel 32DC produces high quality full colour CMYK prints to produce full colour, fluorescent images which can be transferred onto dark coloured garments. 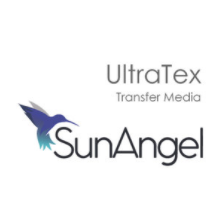 SunAngel UltraTex A4 Transfer Media Pack includes 100 sheets of SunAngel Ultratex transfer media, and 100 adhesive sheets. 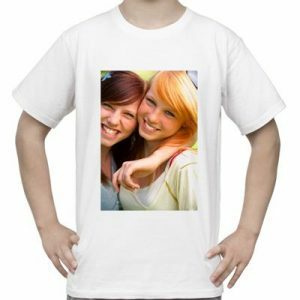 Ultrabrite 4 Transfer Media for Dark Garments. 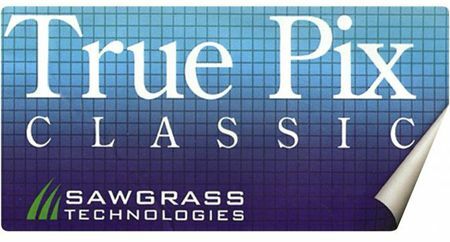 This is the updated, improved transfer media from SunAngel. 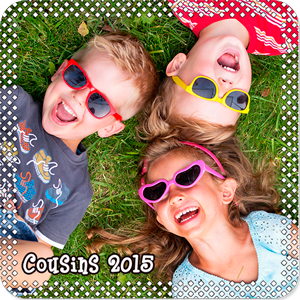 Pack includes 100 sheets of Sun Angel Ultrabrite 4 transfer media, and 400 adhesive sheets. 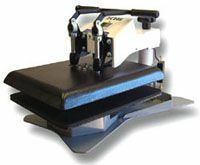 Shoe / trainer table / platen for Stahls Hotronix heat presses. 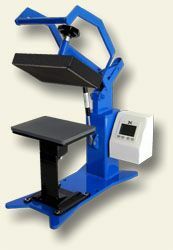 Interchangeable quick change bottom table / platen for Stahls Hotronix heat presses. 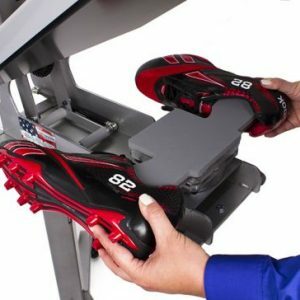 This quick change bottom table is compatible with the Hotronix auto open and Fusion heat presses. 40x40cm / 15.7 x 15.7 Inches. 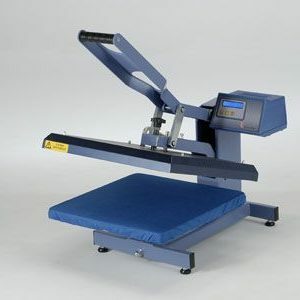 Interchangeable quick change bottom table / platen for Stahls Hotronix heat presses. 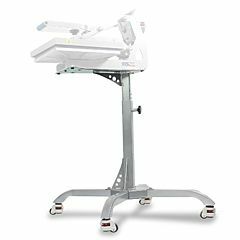 This quick change bottom table is compatible with the Hotronix auto open and Fusion heat presses. 38x38cm / 15 x 15 Inches. 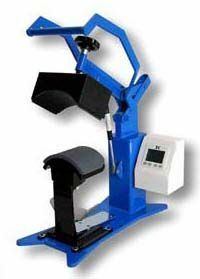 Interchangeable quick change bottom table / platen for Stahls Hotronix heat presses. 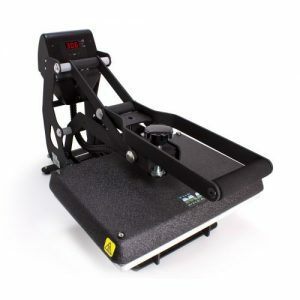 This quick change bottom table is compatible with the Hotronix auto open and Fusion heat presses. 28x38cm / 11 x 15 Inches (approx). 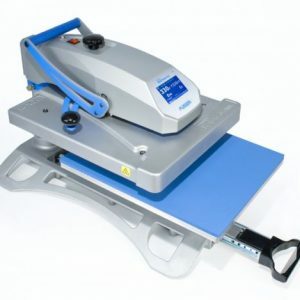 STAHLS Hotronix Air Fusion IQ Tabletop 40x50cm Heat Transfer Press. 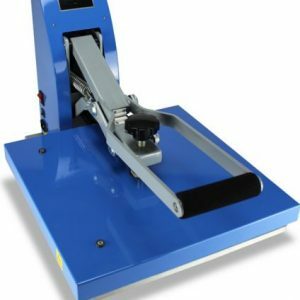 Geo Knight DK20S Heat Press. 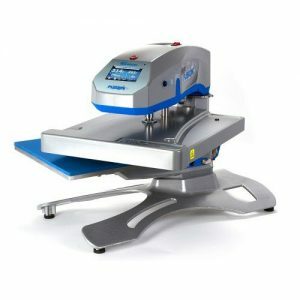 Stahls Hotronix Heat Press Counter Stand. 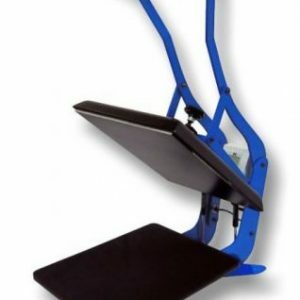 Stahls Hotronix Heat Press Caddie Stand. STAHLS Hotronix Fusion 40x50cm (XF) Heat Transfer Press. 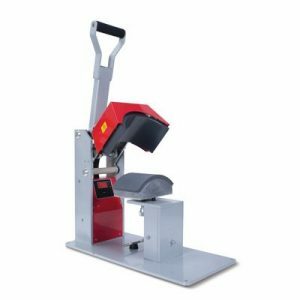 Stahls Hotronix Auto Open Cap Press. 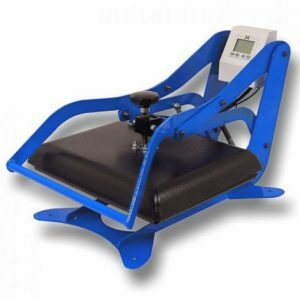 STAHLS Clam Basic Cap Heat Transfer Press. 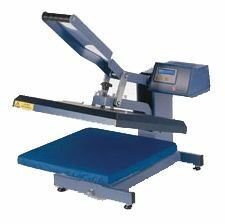 STAHLS Clam Basic 38x38cm Heat Transfer Press. STAHLS Clam Basic 28x38cm Heat Transfer Press. iPhone 5 heating jig / puck for the 3D vacuum press. Heating Jig / Puck for 3D iPad Mini Case. Printing Jig for Samsung Galaxy S3 Case. Samsung Galaxy S3 case printing jig for the 3D vacuum press. iPad 2/3 case printing jig for the 3D vacuum press. 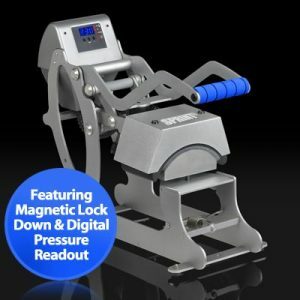 Due to current low stock levels, this product is only available for purchase by customers who have purchased our 3D vacuum press. Printing Jig for Blackberry Z10 Case. Blackberry Z10 case printing jig for the 3D vacuum press. Printing Jig for HTC One X Case. HTC One X case printing jig for the 3D vacuum press. 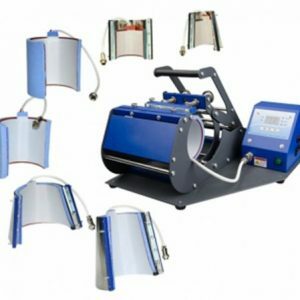 Due to current low stock levels, this product is only available for purchase by customers who have purchased our 3D vacuum press. Printing Jig for Samsung Galaxy S4 Case. Samsung Galaxy S4 case printing jig for the 3D vacuum press. 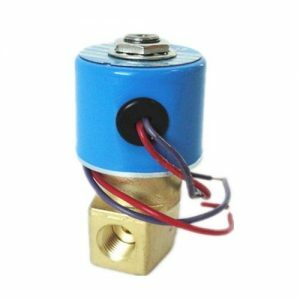 Replacement Solenoid Valve QX-23-08 For ST-3042 3D Vacuum Heat Press. 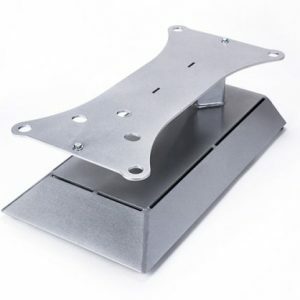 iPhone 4/4s heating jig / puck for the 3D vacuum press. 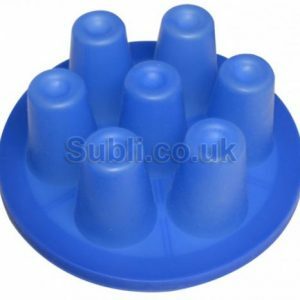 Replacement silicone membrane for the 3D Desktop Dye Sublimation Vacuum Press. 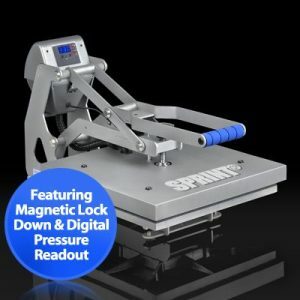 Please note, if your 3D press looks the same as the one we sell, then it is likely to fit your press. If it doesn’t fit, you are more than welcome to return the membrane to us for a refund. Shot glass printing tool for use with 3D dye sublimation press. For 1.5 oz shot glasses. Please note, we can only guarantee this tool works with our 1.5 oz blank shot glasses. All Over 3D Vacuum Mug Wrap for straight and latte shaped mugs. 3D Vacuum Mug Wrap for straight and latte shaped mugs. 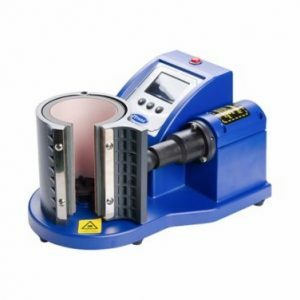 The five in one mug press is a dye sublimation mug press for volume production. 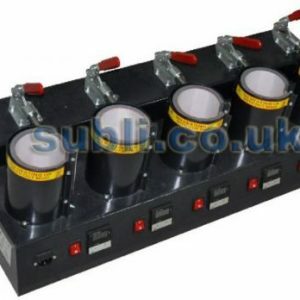 The five in one press boasts five individual mug heaters which can work independently or simultaneously. 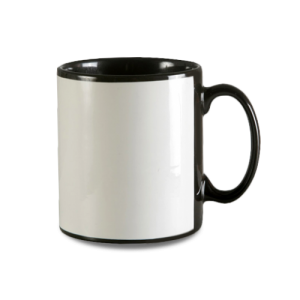 Slim heater band, for slimmer mugs such as our Sparta mugs & balmoral bone China mugs. 5 pin connection. Please note, we can only guarantee that this heater band will work with our digital mug press. 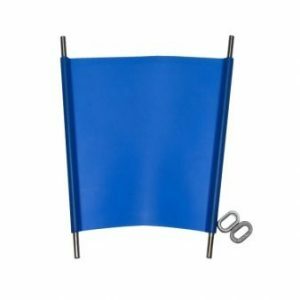 Replacement standard 10oz heater band for the Digital Mug Press. 5 pin connection. Please note, this is for the didigtal mug press that we sell, and we cannot guarantee that it will work with other mug presses. Complete Dye Sublimation Printing Setup, Sawgrass Virtuoso SG400 A4 & Stahls Hotronix Auto Open 28×38. 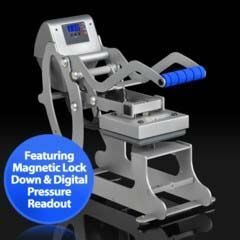 NEW – Monster Mug, 6 in 1 Fully Adjustable Digital Mug Press. 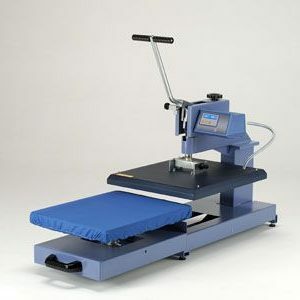 Complete Dye Sublimation Printing Setup, Virtuoso SG800 A3 & Stahls Clam Basic 38×38. 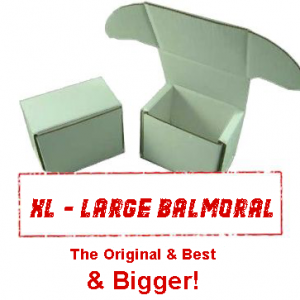 New XL UK Made Smash Proof Mug Shipping & Gift Box – For Large Balmoral Mugs! Texprint XP HR 17 Inch Roll. 110 feet / 33.5 Metres. 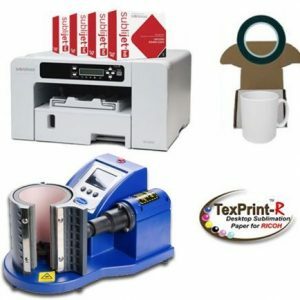 Texprint XP HR Dye Sublimation Paper. 17″ by 110 feet / 33.5 Metres. Texprint XP HR 13 Inch Roll. 110 feet / 33.5 Metres. 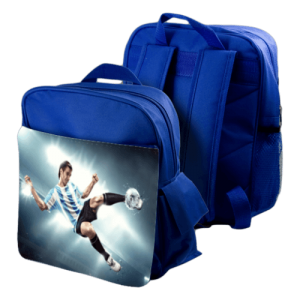 Texprint XP HR Dye Sublimation Paper. 13″ by 110 feet / 33.5 Metres. 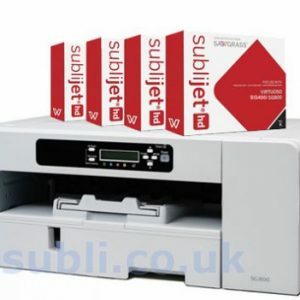 A3 Texprint XP – Version HR (High Release) – Sublimation paper Box of 110 sheets. 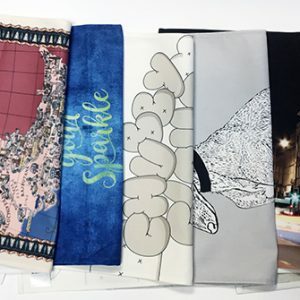 Texprint High Release paper is a very high quality high release dye sublimation paper, designed for providing a greater release for better dye sublimation onto textiles / fabrics. 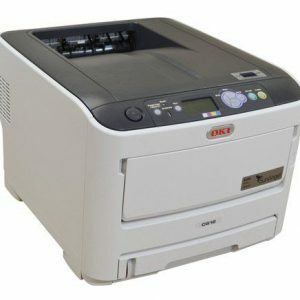 A3 Texprint Ricoh. 110 sheets. 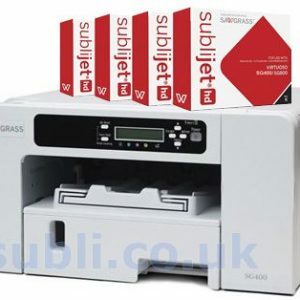 A3 Texprint R Dye Sublimation Paper for Ricoh printers. 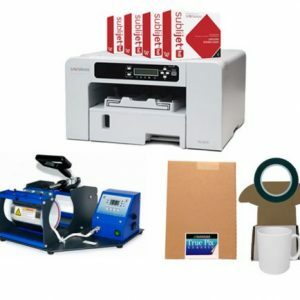 Box of 110 sheets Texprint R is a special purpose dye sublimation paper designed specifically to keep up with the speed demands of the Ricoh GX series of printers, while maintaining the exceptional colour definition and premium transfer yield. A4 Epsub. For Epson Printers. 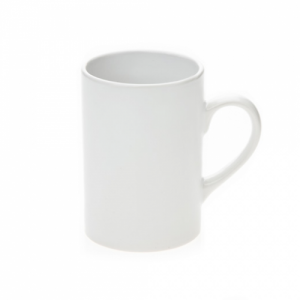 Mug Sized Texprint Ricoh. 110 sheets. 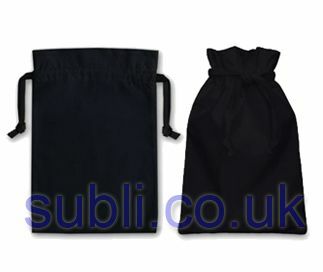 These black 100% cotton drawstring bags are perfect as gift packaging for keyrings and other smaller personalised gifts. 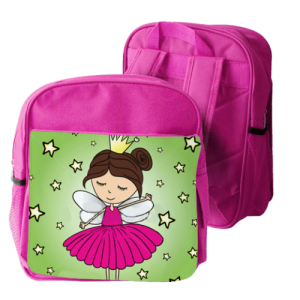 These bags can be printed onto with the Sun Angel printer, or with other printing processes for dark fabrics. 6x9cm (approx) when laid flat. 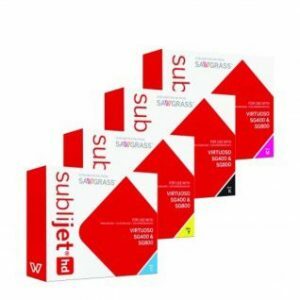 Black Sublijet-HD Ink for Virtuoso SG400 / SG800 (Ricoh). 42ml. Mug Oven Wrap / Clamp for Small Shot Glasses. 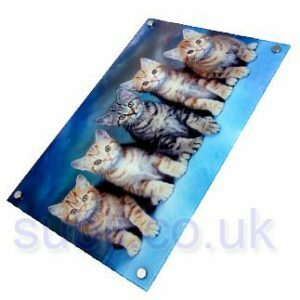 Made from Stainless Steel, Zinc Alloy and Silicon, these oven wraps are a great inexpensive way to print various items via dye sublimation. 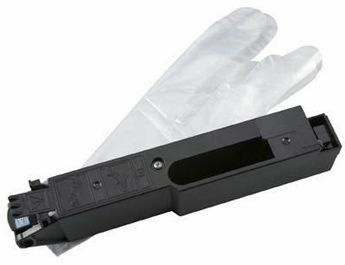 This particular oven wrap / clamp is for small shot glasses Compatible with 3D mug ovens, halogen mug ovens and domestic electric ovens. 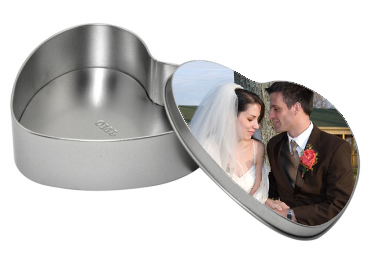 Mug Oven Wrap / Clamp for Small Espresso Cups Made from Stainless Steel, Zinc Alloy and Silicon, these oven wraps are a great inexpensive way to print various items via dye sublimation. 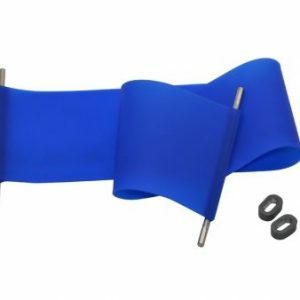 This particular oven wrap / clamp is for 2.5 oz espresso cups Compatible with 3D mug ovens, halogen mug ovens and domestic electric ovens. 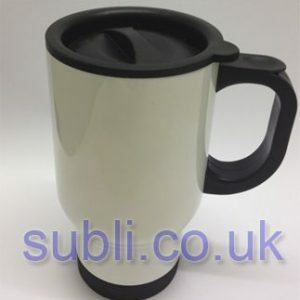 Sublimation Mug Clamps, For Sublimating Mugs via Ovens Silicone rubber 10/11 ounce ceramic mug clamps / wraps, for printing mugs with dye sublimation with the use of an oven. 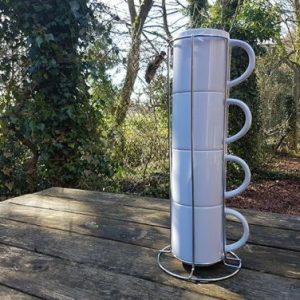 Mug Oven Wrap / Clamp for Ceramic Beer Mugs Made from Stainless Steel, Zinc Alloy and Silicon, these oven wraps are a great inexpensive way to print ceramic beer mugs via the dye sublimation process. Compatible with 3D mug ovens, halogen mug ovens and domestic electric ovens. 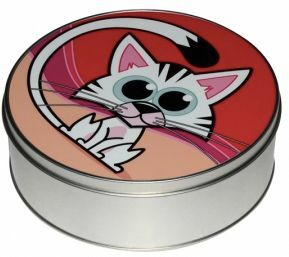 Mug Oven Wrap / Clamp for Cat Bowls Made from Stainless Steel, Zinc Alloy and Silicon, these oven wraps are a great inexpensive way to print various items via dye sublimation. This particular oven wrap / clamp is for cat bowls. Compatible with 3D mug ovens, halogen mug ovens and domestic electric ovens. 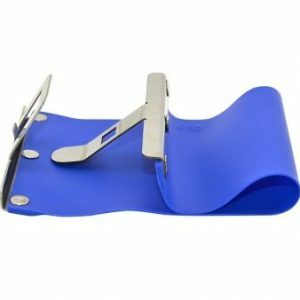 Mug Oven Wrap / Clamp for 8 Ounce Steel Hip Flask Made from Stainless Steel, Zinc Alloy and Silicon, these oven wraps are a great inexpensive way to print 8 ounce steel hip flasks via the dye sublimation process. Compatible with 3D mug ovens, halogen mug ovens and domestic electric ovens. 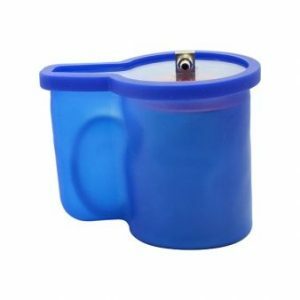 Mug Oven Wrap / Clamp for 600ml water bottle. 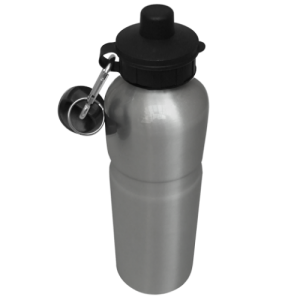 Made from Stainless Steel, Zinc Alloy and Silicon, these oven wraps are a great inexpensive way to print 400 ml water bottles via the dye sublimation process. Compatible with 3D mug ovens, halogen mug ovens and domestic electric ovens. 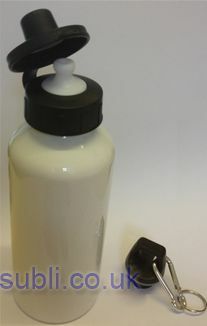 Mug Oven Wrap / Clamp for 400ml water bottle. 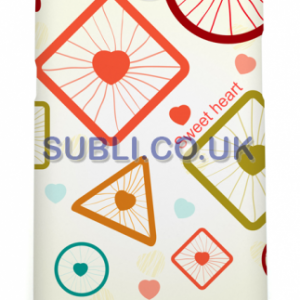 Made from Stainless Steel, Zinc Alloy and Silicon, these oven wraps are a great inexpensive way to print 400 ml water bottles via the dye sublimation process. Compatible with 3D mug ovens, halogen mug ovens and domestic electric ovens. 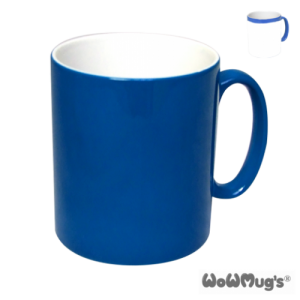 Mug Oven Wrap / Clamp for 15 Ounce Ceramic Mug Made from Stainless Steel, Zinc Alloy and Silicon, these oven wraps are a great inexpensive way to print 15 ounce Jumbo mugs via the dye sublimation process. Compatible with 3D mug ovens, halogen mug ovens and domestic electric ovens. Mug Oven Wrap / Dog Bowls. 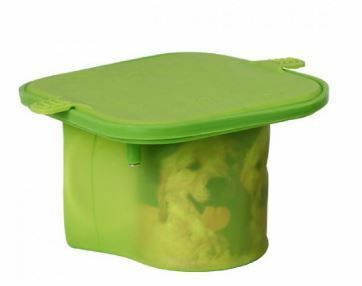 This is a silicone oven wrap / clamp suitable for blank ceramic dog bowls Compatible with 3D mug ovens, halogen mug ovens and domestic electric ovens. 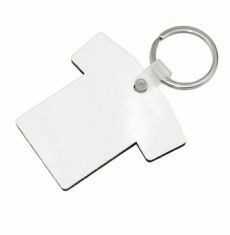 Mug Oven Wrap / Clamp for 17oz Latte Mugs Made from Stainless Steel, Zinc Alloy and Silicon, these oven wraps are a great inexpensive way to print various items via dye sublimation. This particular oven wrap / clamp is for 17 oz latte mugs. Compatible with 3D mug ovens, halogen mug ovens and domestic electric ovens. 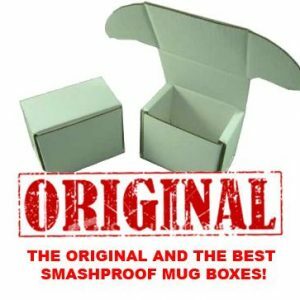 Mug Oven Wrap / Clamp for 12oz Latte Mugs Made from Stainless Steel, Zinc Alloy and Silicon, these oven wraps are a great inexpensive way to print various items via dye sublimation. This particular oven wrap / clamp is for 12 oz latte mugs. Compatible with 3D mug ovens, halogen mug ovens and domestic electric ovens. 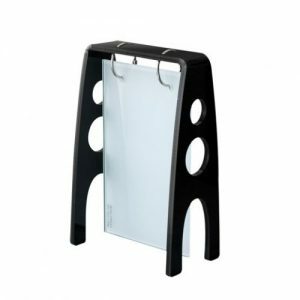 Rocking Glass Photo Stand, Rectangular. 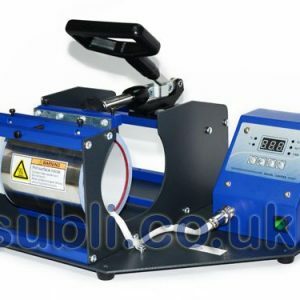 Ink collector unit / waste ink tank – for Virtuoso A4 SG400 and A3 SG800. NEW Glass Photo Frames. 3 in 1. NEW Glass Photo Frames. 16×10 Inch. 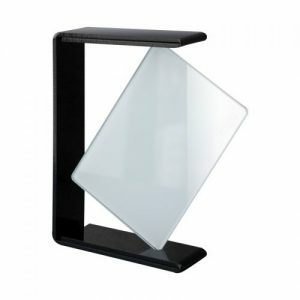 Glass Slide Photo Stand, Rectangular. 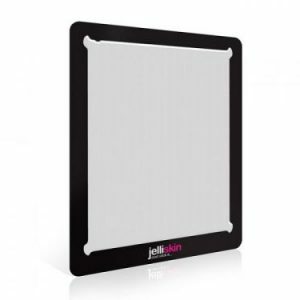 Glass Rotating Photo Stand, Rectangular. 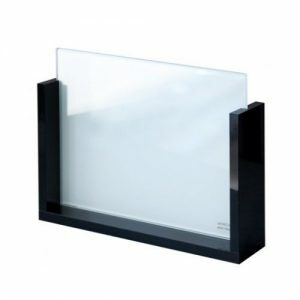 Glass Hanging Photo Frame, Rectangular. 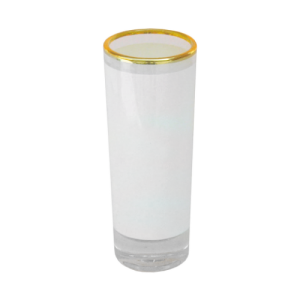 2.5 oz glass shot glass with white printable panel. Blank Ceramic Plant Pots. Case of 36. 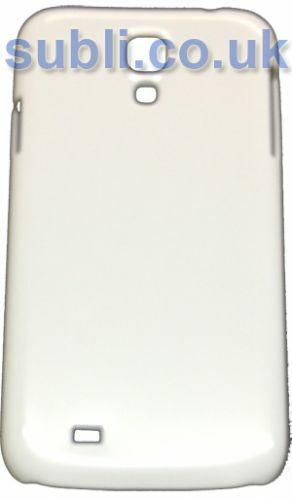 LG Optimus L7II Cases. Plastic Edged – Black. 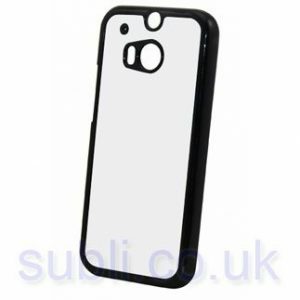 LG Optimus L5II Cases. Plastic Edged – Black. LG G3 Cases. Plastic Edged – Black. 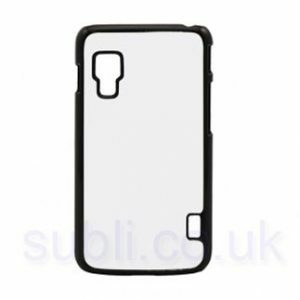 Blank Google Nexus 5 Cases for Dye Sublimation Printing Plastic edged, black. 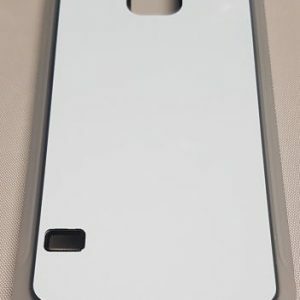 These cases are for the Google Nexus 5, and are for dye sublimation printing with a standard flat bed heat transfer press and sublimation printer, there is no special equipment required such as a vacuum press or jigs. 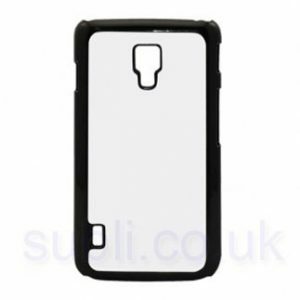 Sony Xperia Z2 Case. Plastic Edged – Black. 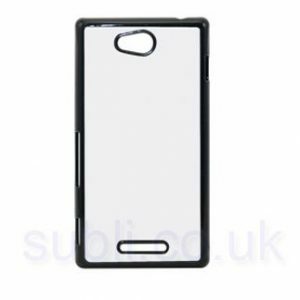 Sony Xperia Z1 Case. Plastic Edged – Black. 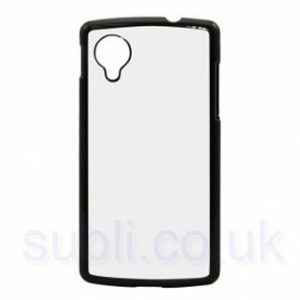 Sony Xperia C Case. – Plastic Edged – Black. 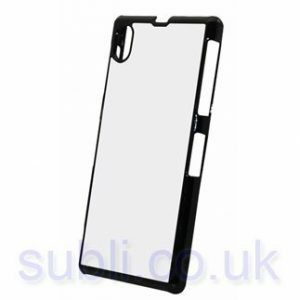 Blank Hardshell Blackberry Z10 Case – Plastic Edged – Black. 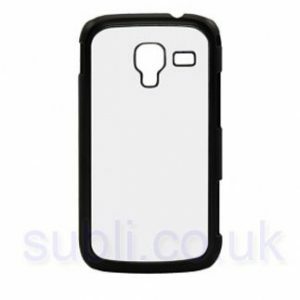 Blank Samsung Galaxy Xcover 2 Case. 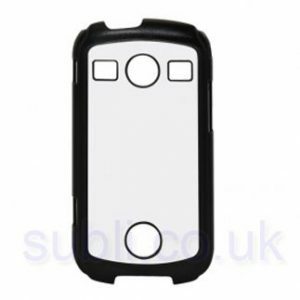 Plastic Edged – Black. 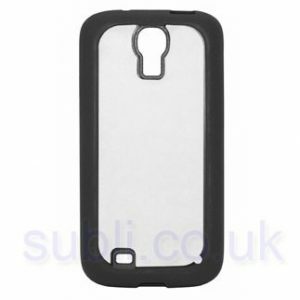 Blank Samsung Galaxy S4 Case. Plastic Edged. Black. 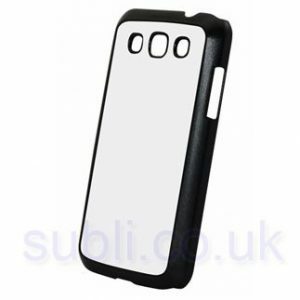 Blank Samsung Galaxy S3 Case. Plastic Edged – Black. 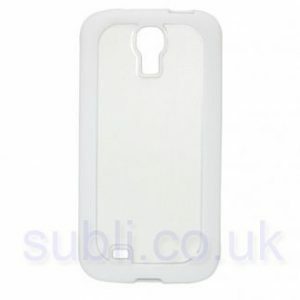 Blank Samsung Galaxy S2 Case. Plastic Edged – Black. 3D iPad Air Case for 3D Sublimation Printing. 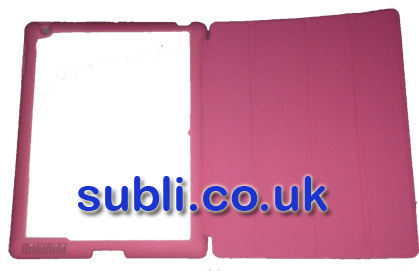 Our 3D iPad cases are suitable for the iPad Air, and are fully printable with a 3D sublimation vacuum heat press. 3D printing means that the entire surface is printed, including around edges and corners. 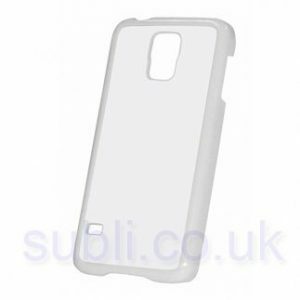 Blank Samsung Galaxy Ace 2 Case. Plastic Edged – Black. 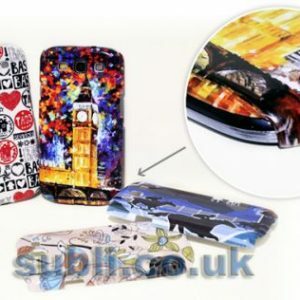 Blank Samsung Galaxy Ace 2 Smart Phone Case for Dye Sublimation Printing. Plastic Edged, Black. 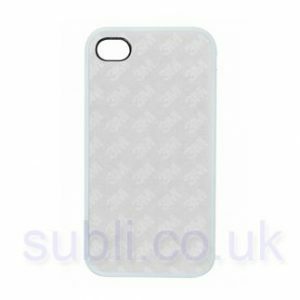 These blank sublimation smart phone cases are very simple to personalise via dye sublimation printing, with a dye sub printing setup and a standard flat bed heat press. Extra large, 750ml Aluminium Water Bottle for Dye Sublimation Printing. 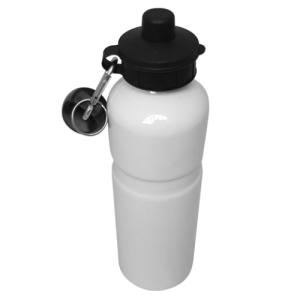 These aluminium water bottles are an extra large size, 750ml capacity aluminium water bottle, supplied with Carabiner, sports bottle type push-pull mouthpiece and a plastic screw on top. Dimensions: 72mm diameter. 227mm circumference. 206mm tall not including cap. (approx) Individually boxed. Hand wash only. New. 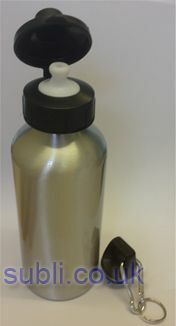 750ml Aluminium Water Bottle. White. 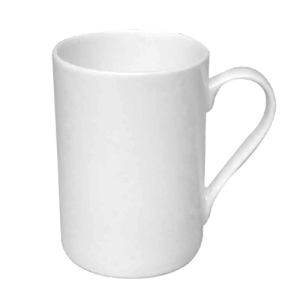 Frosted Glass Mug. Orca Coated. 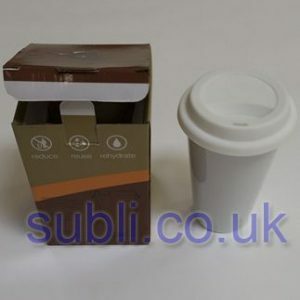 Plastic blank travel mugs for dye sublimation printing. White. Sold in singles, boxed in cases of 48. 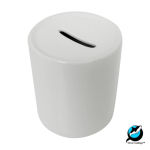 Dimensions: 150 x 84 mm approx Please note, to print these travel mugs you will need a metal printing insert. 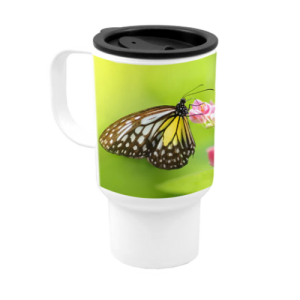 White Stainless Steel Travel Mugs For Dye Sublimation. 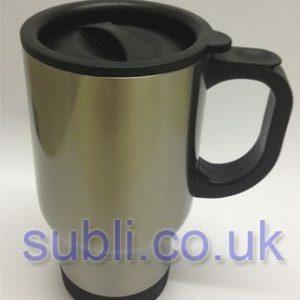 Silver Stainless Steel Travel Mugs For Dye Sublimation. Espresso Mugs. Small 2.5 Oz. 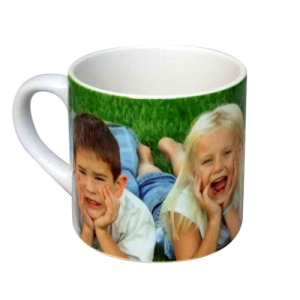 Blank Small Espresso Mugs for Dye Sublimation Printing. 2.5 Oz. 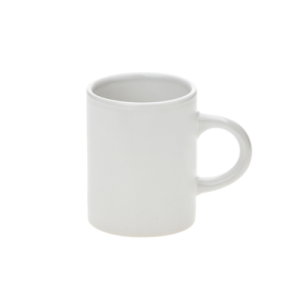 These blank espresso mugs are a small 2.5 ounce mug for dye sublimation printing. 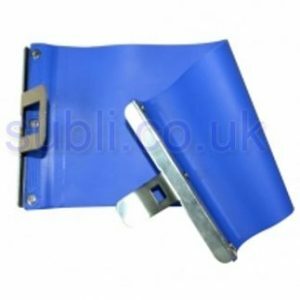 Please note, we do not currently supply a heater band for our digital mug press which is compatible with this product. Dimensions: 65 x 50 cm approx. 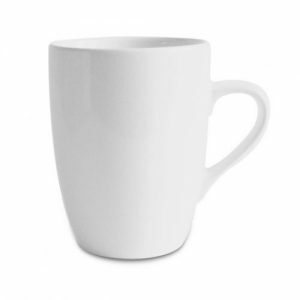 Children’s / Large Espresso Mug. Orca Coated, Dishwasher Proof. 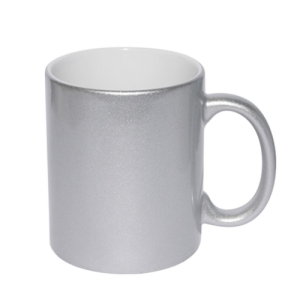 Silver Blank Durham Mug for Dye Sublimation Printing. 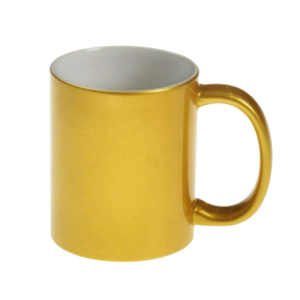 Gold 10 Ounce Blank Durham Mug for Dye Sublimation Printing. 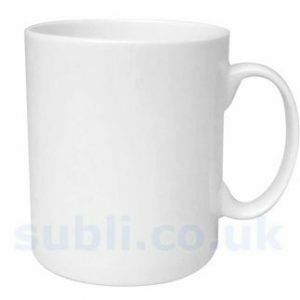 Blank Large / Jumbo / Mighty Durham 15 oz (approx) dye sublimation mugs. Orca coated, dishwasher Proof. 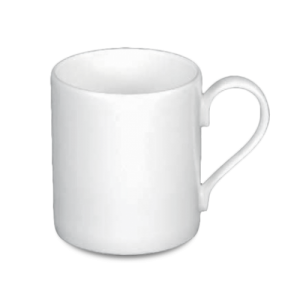 Case of 36 high quality dishwasher proof large Durham style 15oz mug for dye sublimation. Orca Coating. New, Set of 4 Stacker Mugs. 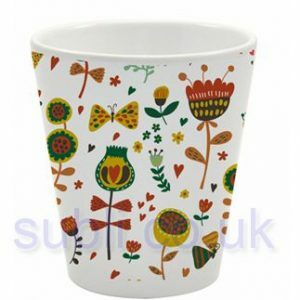 This is a set of four blank ceramic stacking mugs for dye sublimation, with a metal stacking rack. Dimensions: 87mm tall by 78mm diameter (approx). Orca Coated, dishwasher and microwave safe. 6 x Coffee Set. 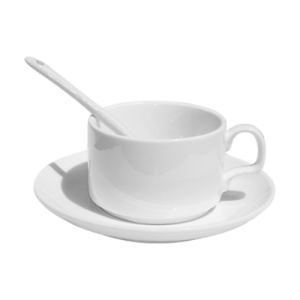 Mug, Saucer & Spoon. Orca Coated, Dishwasher Proof. 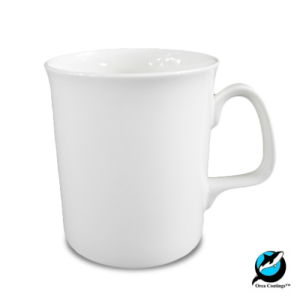 New Orca Marrow 10 oz* Blank Mugs for Dye Sublimation Printing. Dishwasher Proof. Case of 36 Mugs. Delivery just £4.48 per case! (When purchased in multiples of 2). 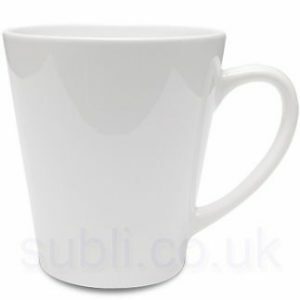 Large Balmoral Bone China Mugs. Orca Coated. Case of 36. 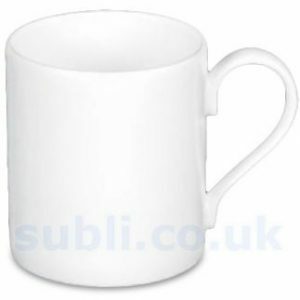 Case of 36 Windsor blank fine bone china mugs for dye sublimation. 105mm tall x 77mm diameter. 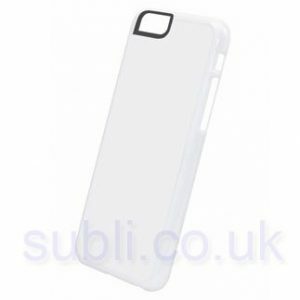 Blank iPhone 6 PLUS cases – Plastic Edged – White. 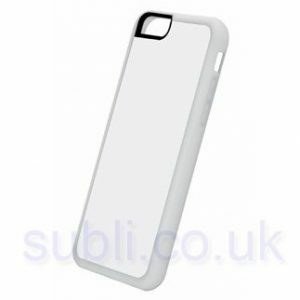 2 Part Protective iPhone 4/4s cases. Chromaluxe Wooden Photo Panel. 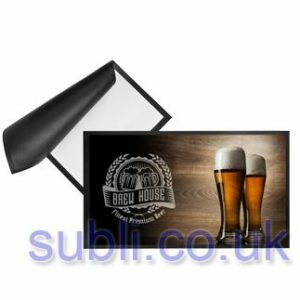 5946 “Squid” Wooden (MDF) gloss white HD finish photo panels, 30 x 30cm / 12 x 12″ (approx) Sold in singles, boxed in cases of 10. Chromaluxe Wooden Photo Panel. 5877 “Seal” Wooden (MDF) gloss white HD finish photo panels, 28 x 35cm / 11 x 14″ (approx) Sold in singles, boxed in cases of 10. Chromaluxe Wooden Photo Panel. 4126 / “Shark” Wooden (MDF) gloss white HD finish photo panels, 40 x 50cm / 16 x 20″ (approx) Sold in singles, boxed in cases of 5. Chromaluxe Wooden Photo Panel. 3059 “Walrus” Wooden (MDF) gloss white HD finish photo panels, 15.88 mm thick, 20 x 30cm / 8 x 12 Inches (approx) Sold in singles, boxed in cases of 10. Chromaluxe Wooden Photo Panel. 3039 / “Whale” Wooden (MDF) gloss white HD finish photo panels, 40 x 60cm / 16 x 24″ (approx) Sold in singles, boxed in cases of 5. 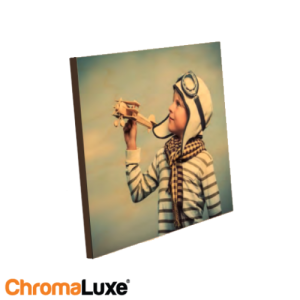 Chromaluxe Wooden Photo Panel. 3037 / Octopus. Wooden (MDF) gloss white HD finish photo panels, 30 x 40cm / 12 x 16″ (approx) Sold in singles, boxed in cases of 10. Chromaluxe Wooden Photo Panel. 3034 “Penguin”. 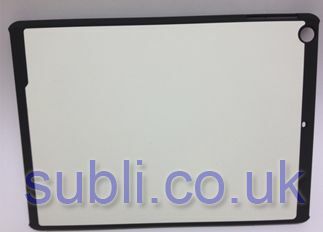 Wooden (MDF) gloss white HD finish photo panels, 15.88 mm thick, 18 x 27cm / 7 x 10″ (approx) Sold in singles, boxed in cases of 10. Chromaluxe Wooden Photo Panel. 3033 “Crab”. 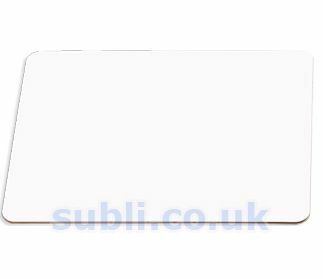 Wooden (MDF) gloss white HD finish photo panels, 15.88 mm thick, 15 x 15cm / 6 x 6″ Inches (approx) Sold in singles, boxed in cases of 10. Chromaluxe Wooden Photo Panel. 3033 “Viper”. Wooden (MDF) gloss white HD finish photo panels, with black radius edge, black back and matching pre-attached easel. 6.35 mm thick, 15 x 15cm / 6 x 6″ Inches (approx) Sold in singles, boxed in cases of 10. Chromaluxe Wooden Photo Panel. 5859 “Python”. 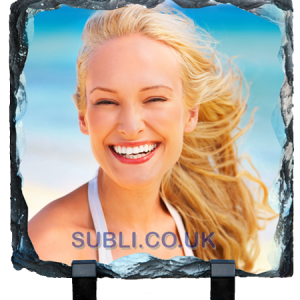 Wooden (MDF) gloss white HD finish photo panels, with black radius edge, black back and matching pre-attached easel. 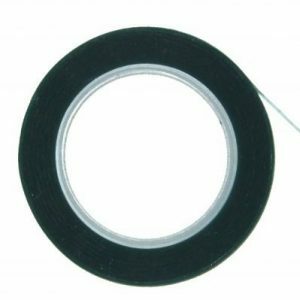 6.35 mm thick, 20 x 25cm / 8 x 10″ (approx) Sold in singles, boxed in cases of 12. 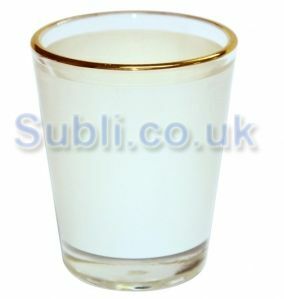 Enamel mugs for dye sublimation. Chromaluxe Wooden Photo Panel. 5857 “Cobra”. 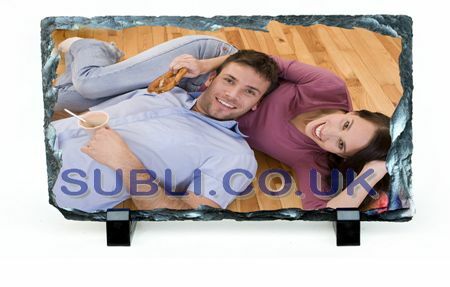 Wooden (MDF) gloss white HD finish photo panels, with black radius edge, black back and matching pre-attached easel. 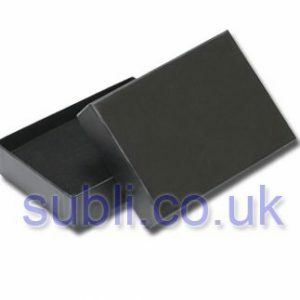 6.35 mm thick, 13 x 18cm / 5 x 7″ (approx) Sold in singles, boxed in cases of 10. Chromaluxe Wooden Photo Panel. 5859 “Python”. Wooden (MDF) gloss white HD finish photo panels, with black radius edge, black back and matching pre-attached easel. 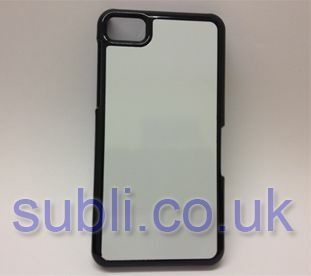 6.35 mm thick, 20 x 30cm / 8 x 12″ (approx) Sold in singles, boxed in cases of 12. 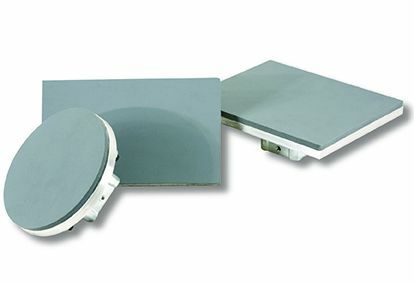 Hardboard Unisub Coaster for Dye Sublimation. 9cm Round. Uni 4028 Sold in singles, 40 to a box (hence the discount at 40, box rate). 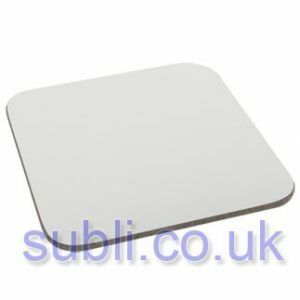 Unisub Hardboard Unisub Coaster for Dye Sublimation with cork backing, 95x95mm. Sold in singles, 40 to a box hence the discount at 40. NEW Glass Photo Frames. 10×8 Inch Landscape. NEW Glass Photo Frames. 8×10 Inch Portrait. 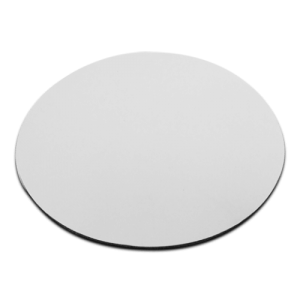 Blank Metal Compact Mirror. Round. 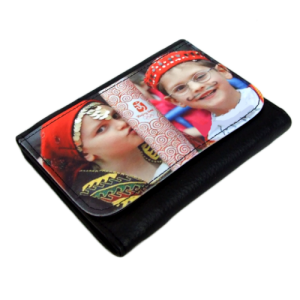 Blank Dye Sublimation Metal Compact Mirror for Dye Sublimation Printing. Round. 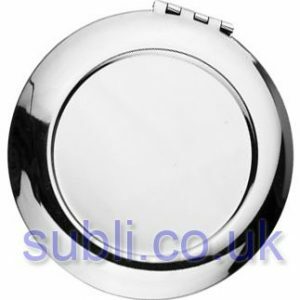 Round metal compact mirror with white printable aluminium insert. Individually boxed. Dimensions: 70 mm (approx). NEW Glass Photo Frames. 7×5 Inch Landscape. Blank Metal Compact Mirror. Square. 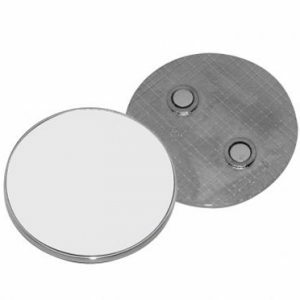 Blank Dye Sublimation Metal Compact Mirror for Dye Sublimation Printing. 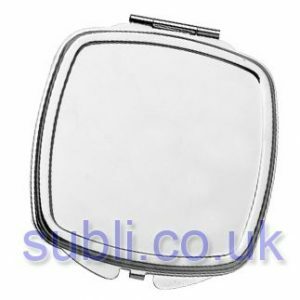 Square (rounded edges) metal compact mirror with white printable aluminium insert. Individually boxed. 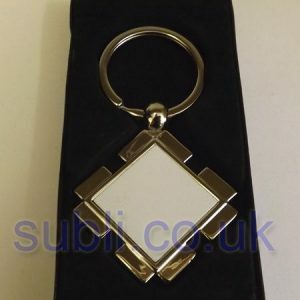 Dimensions: 65 x65 mm (approx). NEW Glass Photo Frames. 5×7 Inches Portrait. 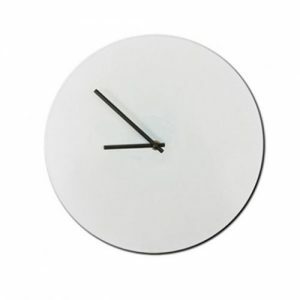 Round Blank Glass Clock for Dye Sublimation Printing. Sold in Singles. Individually Boxed. Dimensions: 31 cm approx. 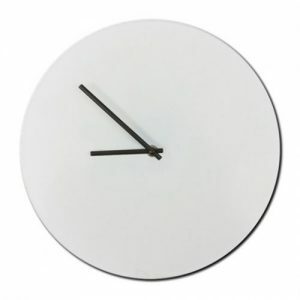 Round Blank Glass Clock for Dye Sublimation Printing. Sold in Singles. Individually Boxed. Dimensions: 20 cm approx. Unisub 1012 Jumbo Wooden Placemat / Dry Wipe Message Board / Wooden Indoor Sign. 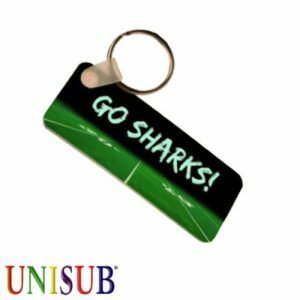 Unisub Uni 1012 is a blank versatile wooden (MDF) board which can be used as a jumbo placemat or tablemat, as a drywipe message board, or for indoor signage. 20×31 cm (approx). No backing Sold in singles, boxed in cases of 20. 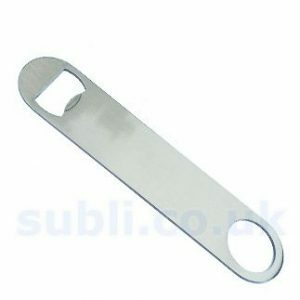 Blank Bar Blades – Professional Stainless Steel Speed Bottle Opener. 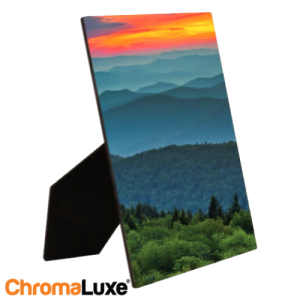 Chromaluxe Aluminium Photo Panel. 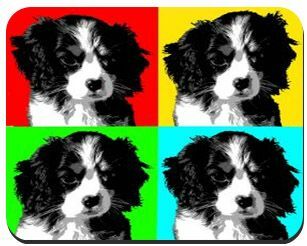 3050 “Eagle” Gloss white Aluminium photo panels, 1.14 mm thick, 40 x 60cm / 16 x 24″ (approx) Sold in singles, boxed in cases of 10. 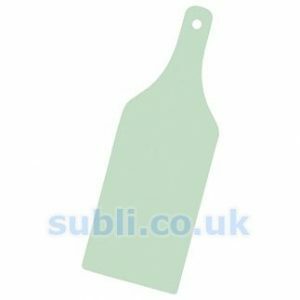 Glass Chopping Board / Worktop Saver Round. Blank glass coaster for dye sublimation printing. Sold in singles, individually boxed. 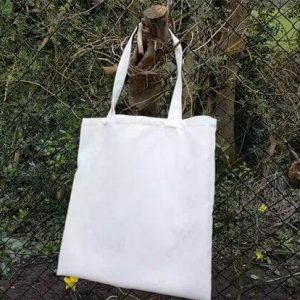 Size: 10c10cm Printing & Pressing Instructions: Don’t flip in reverse (as the image is printed from the back and shows through the front), 4-5 mins, 190-200C, medium – firm pressure, use a teflon sheet. Washing Instructions: Not dishwasher safe. Handwash only. Chromaluxe Aluminium Photo Panel. 4016 “Falcon”. 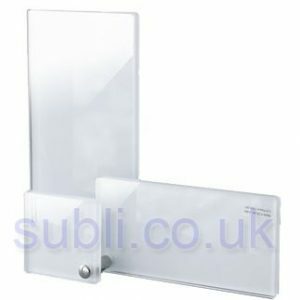 Gloss white Aluminium photo panels, 1.14 mm thick, 40 x 50cm / 16 x 20″ (approx). Sold in singles, boxed in cases of 10. 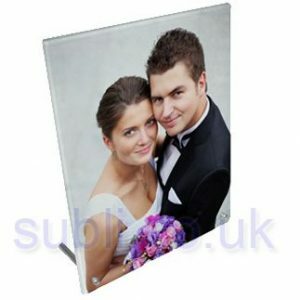 Chromaluxe Aluminium Photo Panel. 3023 “Hawk”. 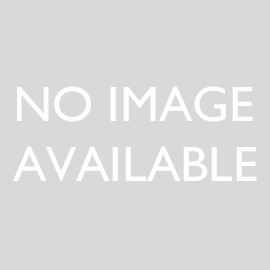 Gloss white Aluminium photo panels, 1.14 mm thick, 30 x 40cm / 12 x 16″ (approx). Sold in singles, boxed in cases of 10. 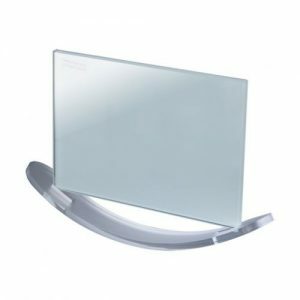 Glass Chopping Board / Worktop Saver 12×16 Inch. Unisub 1011 Large Wooden Placemat / Dry Wipe Message Board / Wooden Indoor Sign. Unisub 1011 is a large wooden (MDF) board which can be used as a tablemat / placemat, drywipe message board, or as indoor wooden signs. 20×26 cm (approx). No backing Sold in singles, boxed in cases of 20. 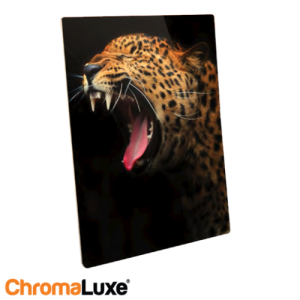 Chromaluxe Aluminium Photo Panel. 4059 “Pigeon”. 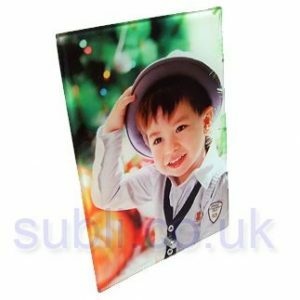 Gloss white Aluminium photo panels, 1.14 mm thick, 30 x 30cm / 12 x 12″ (approx). Sold in singles, boxed in cases of 10. Unisub 4038 Small Wooden Placemat / Tablemat. 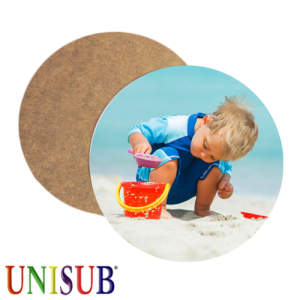 Unisub 4038 Blank wooden (MDF) placemat for dye sublimation printing. 23×19 cm (approx). No backing Sold in singles, boxed in cases of 50. Glass Chopping Board / Worktop Saver 8×11 Inch. Unisub 1006 Cherry Plaque, Large. Unisub 1006 Cherry Edge Wooden Wall Plaque. Medium. 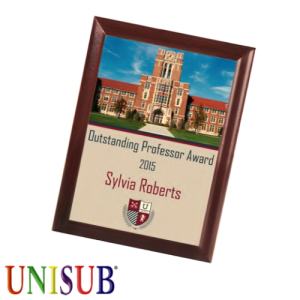 Unisub 1006 is a wooden wall plaque with an ogee shaped edge in cherry coloured wood, and a white MDF printable surface. 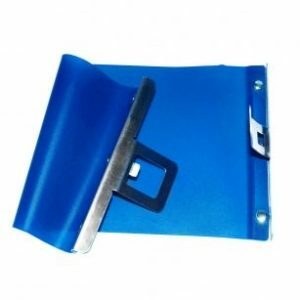 18 x 23cm / 7 x 9 inch by 15.8mm / 0.625 inch thickness (approx). Sold in singles, boxed in cases of 20. 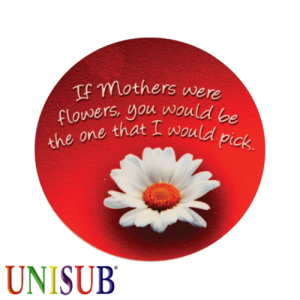 Unisub 1006 Cherry Plaque, Medium. 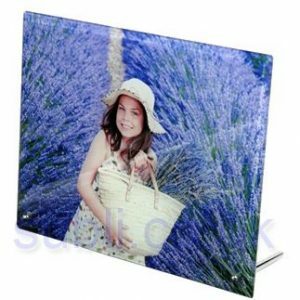 Chromaluxe Aluminium Photo Panel. 5882 “Duck”. 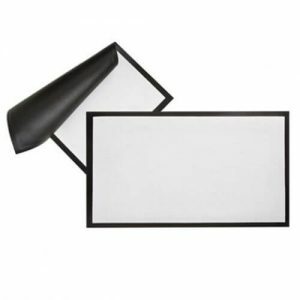 Gloss white Aluminium photo panels, 1.14 mm thick, 28 x 35cm / 11 x 14″ (approx). Sold in singles, boxed in cases of 10. 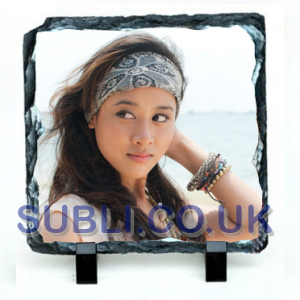 Chromaluxe Aluminium Photo Panel. 5881 “Swan”. 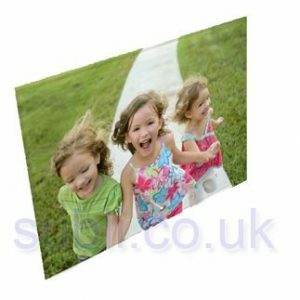 Gloss white Aluminium photo panels, 1.14 mm thick, 20 x 25cm / 8 x 10 Inches (approx). Sold in singles, boxed in cases of 10. 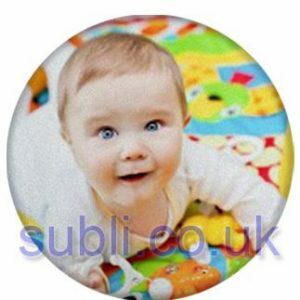 Blank Poker Dealer Buttons for Dye Sublimation Printing. 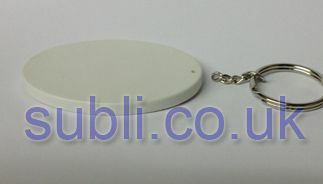 These blank dealer buttons are 48mm in diameter, 5mm thick, and weigh 25 Grams (approx). Made from FRP (fibreglass reinforced plastic). 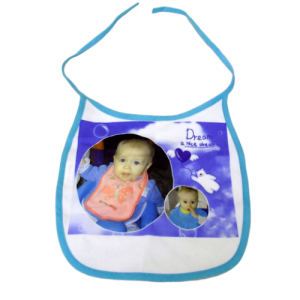 Both sides can be sublimated. 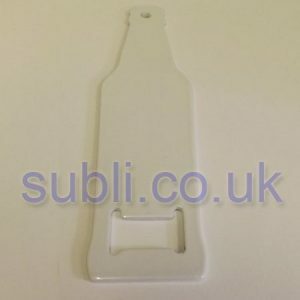 Wine bottle shaped blank glass chopping / cutting boards for dye sublimation. Sold in singles. 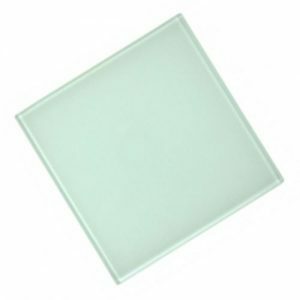 These glass chopping / cutting boards are made from toughened glass, with a chinchilla textured finish. Individually Boxed. Dimensions: 32cm x 11 cm approx. 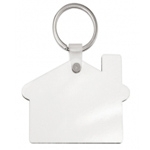 New – blank wooden (HDF) House shaped keyring for dye sublimation printing. 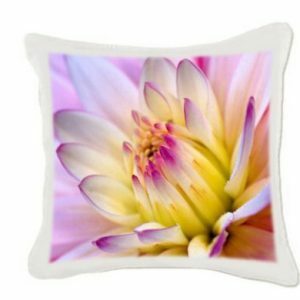 Perfect for new home gifts ideas. 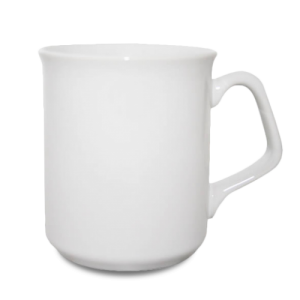 Polymer (Plastic) 10oz Mugs for Dye Sublimation. 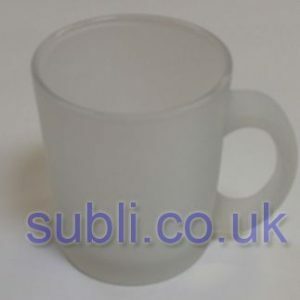 New 10oz blank polymer (plastic) mugs for dye sublimation. 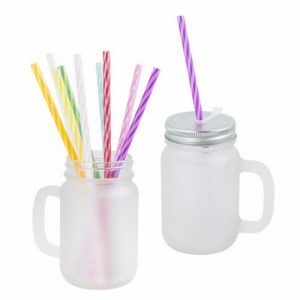 Plastic mugs are great for kids, camping & other activities. 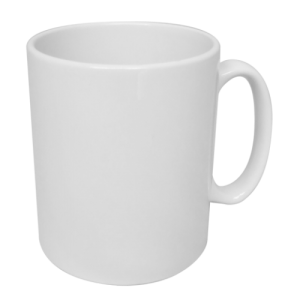 Dimensions: 96mm tall x 82mm dia (approx) Please note, you will require a printing insert tool to place inside the mug while printing. Chromaluxe Aluminium Photo Panel. 3014 “Raven”. 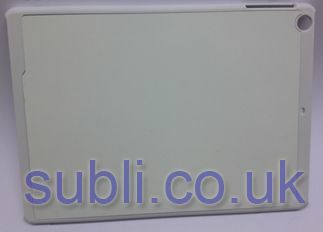 Gloss white Aluminium photo panels, 1.14 mm thick, 15 x 20cm / 6×8 Inches (approx) Sold in singles, boxed in cases of 10. 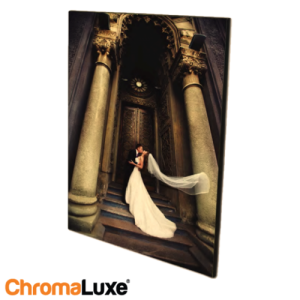 Chromaluxe Aluminium Photo Panel. 4054 “Robin”. 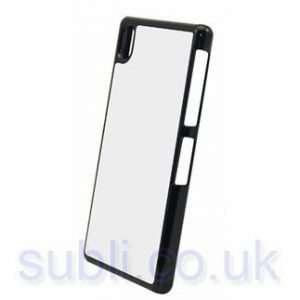 Gloss white Aluminium photo panels, 1.14 mm thick, 13 x 18cm / 5×7 Inches (approx). Sold in singles, boxed in cases of 10. 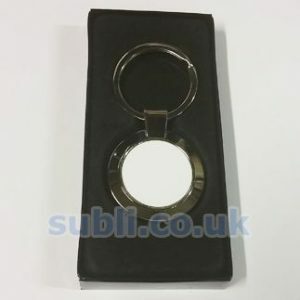 Blank FRP (Fibre-reinforced polymer) round key rings for dye sublimation printing. 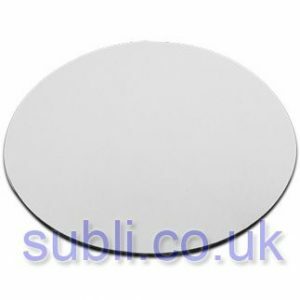 Includes ring and tab Unisub code: 5521 Dimensions: 63.5 mm / 2.5″, 0.09″/2.29 mm thick (approx). 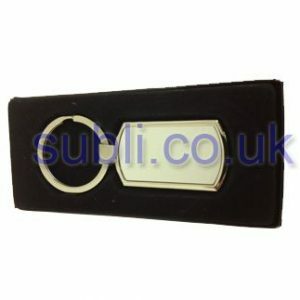 Blank FRP (Fibre-reinforced polymer) rectangular key rings for dye sublimation printing. 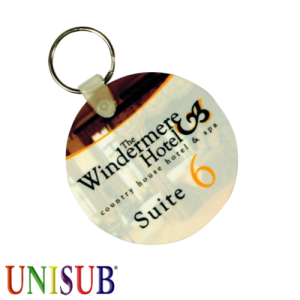 Includes ring and tab Unisub code: 5525 Dimensions: 76 x 32 mm / 3″ x 1.25″, 0.09″/2.29 mm thick (approx). UK Made Single Oven Gloves / Mitts. 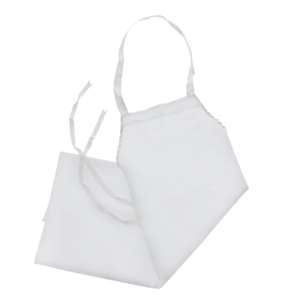 UK Made Blank Single Oven Gloves / Mitts. 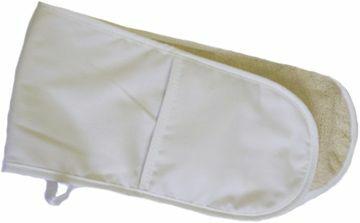 This is a very high qualiy UK made single oven glove / mitt, with padded heat protective material and grip surface. 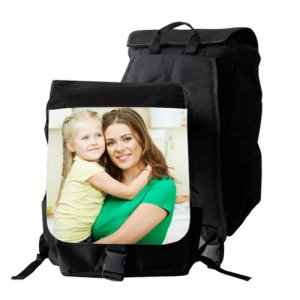 Made from a heavy weight cotton feel 100% polyester. 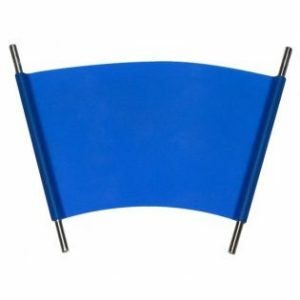 Hemmed on all sides and openings, and includes a fabic hanging loop. Dimensions: 290 x 160mm (approx). UK Made Double Oven Gloves / Mitts. 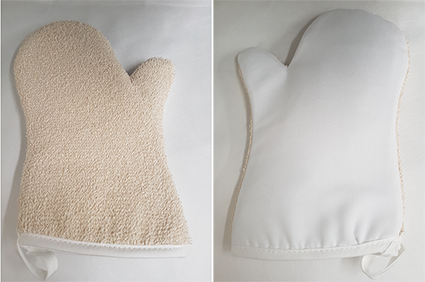 UK Made Blank Double Oven Gloves / Mitts. This is a very high qualiy UK made double oven glove / mitt, with padded heat protective material and grip surface. 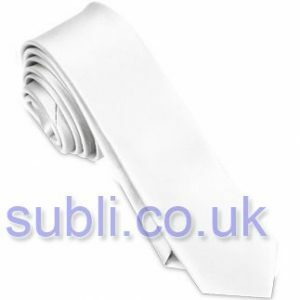 Made from a heavy weight cotton feel 100% polyester. 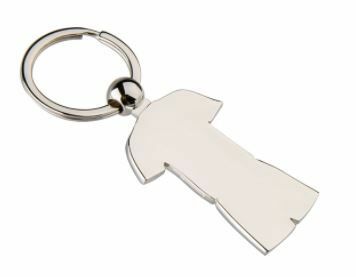 Hemmed on all sides and openings, and includes a fabic hanging loop. Dimensions: 840 x 86mm (approx). 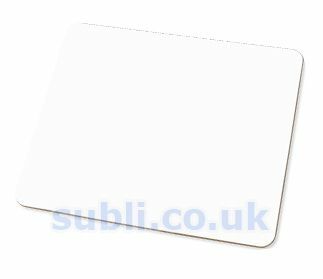 Blank Dye Sublimation Writing Pads / Note Pads. 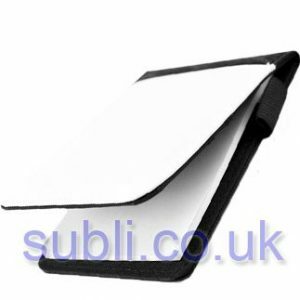 Large Black note pad with dye sublimation printable front panel. Refillable, and comes filled with paper. Dimensions: 320 x 240 mm (approx). 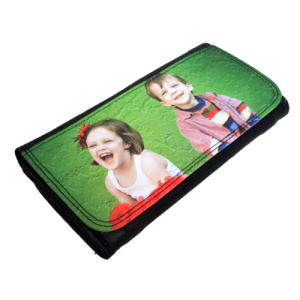 Dye Sublimation Lens Cloths. Pack of 100. 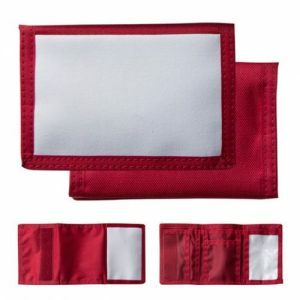 Blank Polyester Glasses Lens Cloths / Glasses Cleaning Cloths for Dye sublimation Satin Polyester cloths for wiping spectacles, binoculars, telescopes, micropscope lenses etc. Pinked edges. Sold in packs of 100. Dimensions 180 x 150 mm (approx). Fabric Dye Sublimation Coasters. Round. 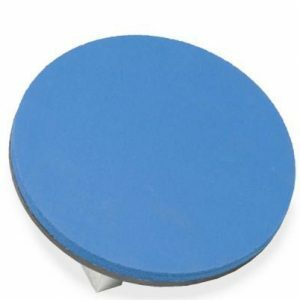 Blank Fabric (polyester and 5mm rubber) Round Coaster for Dye Sublimation Printing. 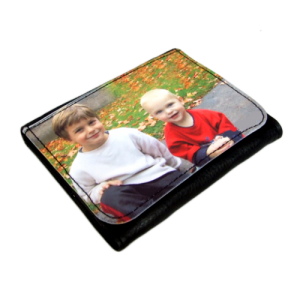 These fabric coasters are made from the same material as our 5mm mousemats, and make for goood low cost dye sublimation imprintable products. Dimensions:90 mm (approx). 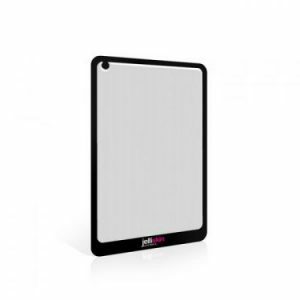 Blank Dye Sublimation Writing Pads / Note Pads. Small. 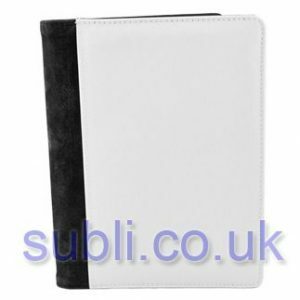 Black note pad with dye sublimation printable front panel. Refillable, and comes filled with paper. 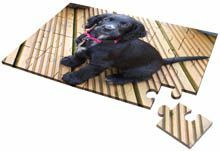 Dimensions: 130 x 90 mm (approx). Fabric Dye Sublimation Coasters. Square. 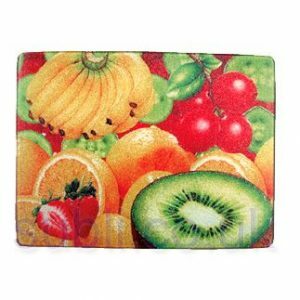 Blank Fabric (polyester and 5mm rubber) Square Coaster for Dye Sublimation Printing. These fabric coasters are made from the same material as our 5mm mousemats, and make for goood low cost dye sublimation imprintable products. Dimensions:100×100 mm (approx). 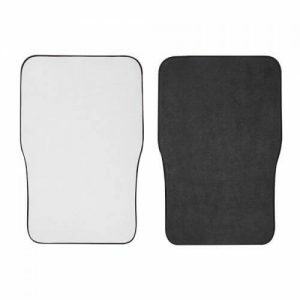 Blank Bar Runners / Bar Mat Small. 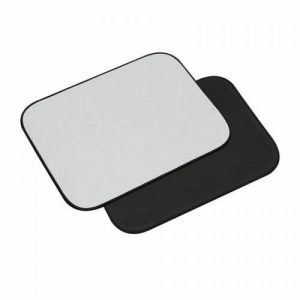 High quality round fabric mouse mat, polyester top – 3mm rubber base, for dye sublimation. Size, 196 x 3mm (approx). 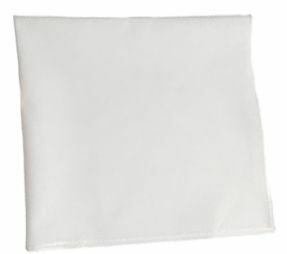 Blank poly cotton bath towels for dye sublimation. Size Large. Dimensions: 700 x 1500 mm (approx). Blank poly cotton bath towels for dye sublimation. Size Medium. Dimensions: 500 x 1000 mm (approx). 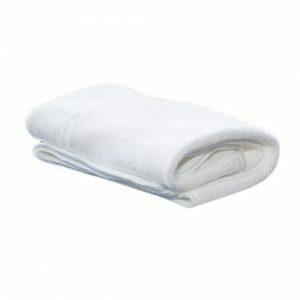 Blank poly cotton bath towels for dye sublimation. Size small. Dimensions: 300 x 600 mm (approx). 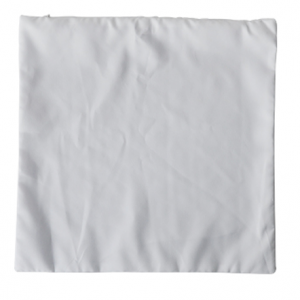 Blank White Cotton Feel Napkins for Dye Sublimation. 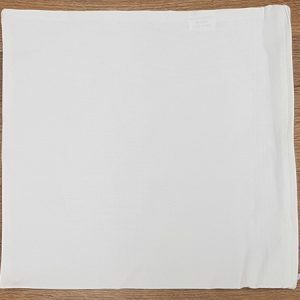 High quality UK made table napkins, made from a nice quality, 100% polyester cotton feel fabric, and hemmed on all four sides. Dimensions: 450 x 450 mm (approx). NEW – Faux Leather Purse / Wallet. Large. 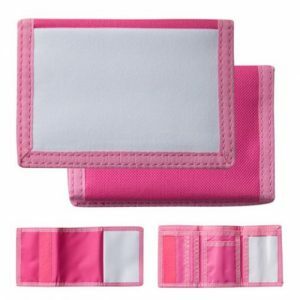 Blank Nylon Wallets for Dye Sublimation Printing. Black. 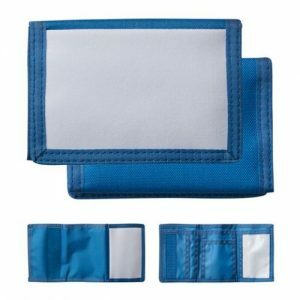 This is a great blank velcro opening sublimation wallet, with main notes wallet section, cards section, ID slot and coins pocket. Available in Black, Red, Pink and Blue. 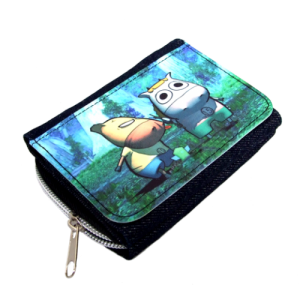 Dimensions: Wallet size 8cm x 12 cm (approx). Printable panel 10.5 x 7cm (approx). 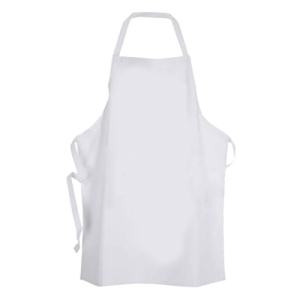 UK Made Blank Adults Apron. 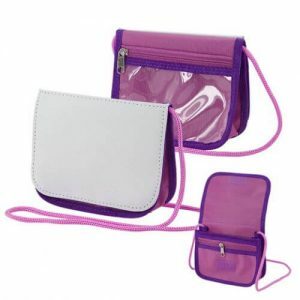 Avon, Eco Sublimation Blank Soft Drawstring Pouch Made from Recycled Plastic Bottles! 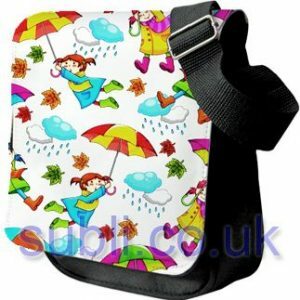 This is a nice quality soft natural fabric pouch, made using fabric made from recycled plastic bottles. If you have tried the Vienna bag, this is made from the same fabric. Dimensions 30 x 45 cm (approx). 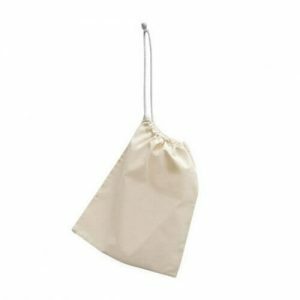 Severn Eco Recycled Drawstring Pouch. 25 x 30cm. 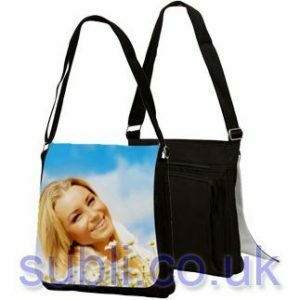 Severn, Eco Sublimation Blank Soft Drawstring Pouch Made from Recycled Plastic Bottles! 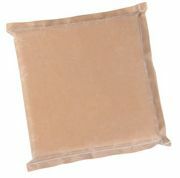 This is a nice quality soft natural fabric pouch, made using fabric made from recycled plastic bottles. If you have tried the Vienna bag, this is made from the same fabric. Dimensions 25 x 30 cm (approx). 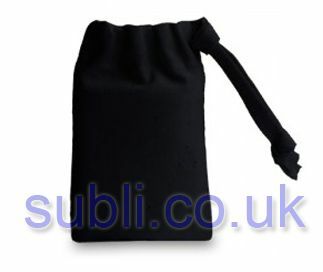 Mersey, Eco Sublimation Blank Soft Drawstring Pouch Made from Recycled Plastic Bottles! 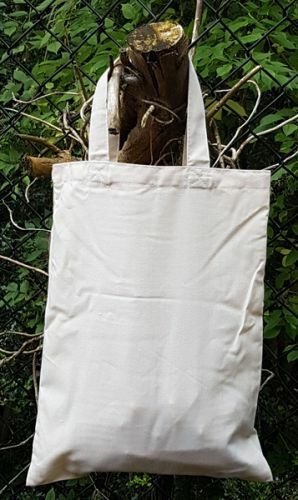 This is a nice quality soft natural fabric pouch, made using fabric made from recycled plastic bottles. If you have tried the Vienna bag, this is made from the same fabric. Dimensions 15 x 20 cm (approx). New large blank umbrella for dye sublimation. 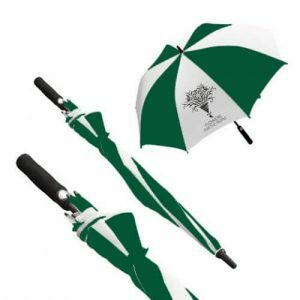 High quality large blank umbrella, with printable white panels, and black panels. Auto opening, fibreglass frame, 60 inch canopy. Black and White. Please Note: Photo is for illustration purposes only, all white panels are blank – and the coloured panels may appear slightly different from the illustration. New large blank umbrella for dye sublimation. 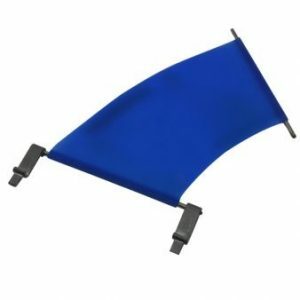 High quality large blank umbrella, with printable white panels, and black panels. Auto opening, fibreglass frame, 60 inch canopy. Navy & White. Please Note: Photo is for illustration purposes only, all white panels are blank – and the coloured panels may appear slightly different from the illustration. 190C, 50-60 seconds, medium pressure. 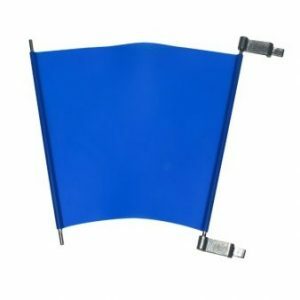 New large blank umbrella for dye sublimation. High quality large blank umbrella, with printable white panels, and black panels. Auto opening, fibreglass frame, 60 inch canopy. Green & White. Please Note: Photo is for illustration purposes only, all white panels are blank – and the coloured panels may appear slightly different from the illustration. A4 Texprint Ricoh. 110 sheets. 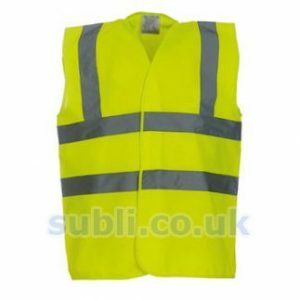 Hi Vis Vests / Waistcoats for Dye Sublimation Printing. 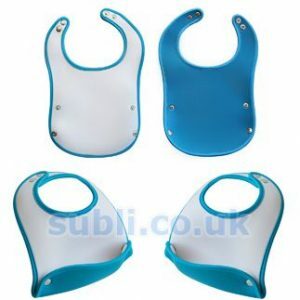 These high visibility vests or waistcoats are compliant with ISO 20471:2013 and are a great product for printers who supply the corporate workwear market, or who would like to enter this market. 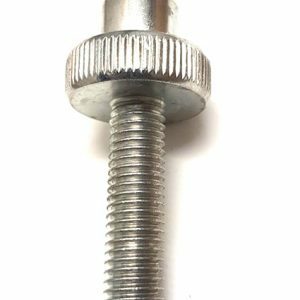 Available in small to XXL, comfortable loose fit with front velcro fasteners.